How do we make and cross boundaries? My first book, Jesus Loves Japan: Return Migration and Global Pentecostalism in a Brazilian Diaspora will be published by SUP in June 2019. For more information, please visit the SUP website. After the introduction of the “long-term resident” visa, the mass-migration of Nikkeis (Japanese Brazilians) has led to roughly 190,000 Brazilian nationals living in Japan. While the ancestry-based visa confers Nikkeis’ right to settlement virtually as a right of blood, their ethnic ambiguity and working-class profile often prevent them from feeling at home in the supposed ethnic homeland. In response, many have converted to Pentecostalism, reflecting the explosive trend across Latin America since the 1970s. Jesus Loves Japan offers a rare window into lives at the crossroads of return migration and global Pentecostalism. Suma Ikeuchi argues that charismatic Christianity appeals to Nikkei migrants as a “third culture”—one that transcends ethno-national boundaries and offers a way out of their reality marked by stagnant national indifference. Jesus Loves Japan insightfully describes the political process of homecoming through the lens of religion, and the ubiquitous figure of the migrant as the pilgrim of a transnational future. Simply put, my work explores “a difference that makes a difference” in our sociopolitical surroundings. While Gregory Bateson—an anthropologist whom I respect—coined this phrase as the definition of information, what I mean by it is the construction of cultural boundaries that is politically consequential to our increasingly interconnected world today. Thus my ethnographic projects investigate the making and crossing of boundaries between all kinds of “us” and “them”: “natives” and “foreigners,” “pure-blooded” and “mixed-race,” “believers” and “seculars,” “humans” and “divinities,” and “persons” and “robots.” I investigate the politics of identification at the intersection of migration, citizenship, and religion in Global Asia—specifically, by studying the diverse racial, ethnic, and religious groups in transnational Japan. My work is interdisciplinary. I obtained my Ph.D. in Anthropology from Emory University in 2016 before joining the Department of Religious Studies at the University of Alabama. Now I work in the Department of Liberal Arts at the School of the Art Institute of Chicago. In addition to disciplinary boundaries, I have also crossed a few national and linguistic boundaries. After receiving a B.A. from Hokkaido University in Japan, I left my natal country to enroll in the master’s program at Brandeis University in Boston. After my MA, I decided to pursue a Ph.D. and become a researcher. While at Emory, I picked up Brazilian Portuguese and conducted fieldwork among the Japanese-Brazilian migrant communities (including many Christian churches) in Japan. 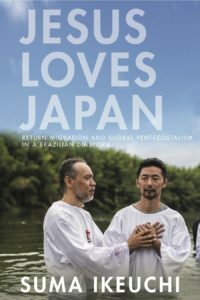 A book based on this project, Jesus Loves Japan: Return Migration and Global Pentecostalism in a Brazilian Diaspora, is forthcoming from Stanford University Press. I recently started learning Tagalog to study the growing Filipino communities in Japan, with a focus on the intimate care they provide to the rapidly aging nation’s elderly population. The other focus of this second project is care robots, which the government often claims to be the solution to the growing burden of eldercare in the country. I also cross the boundary between textual and visual methods by producing ethnographic films in addition to scholarly articles and books. My recent ethnographic film was selected for screening at a visual anthropology film festival. 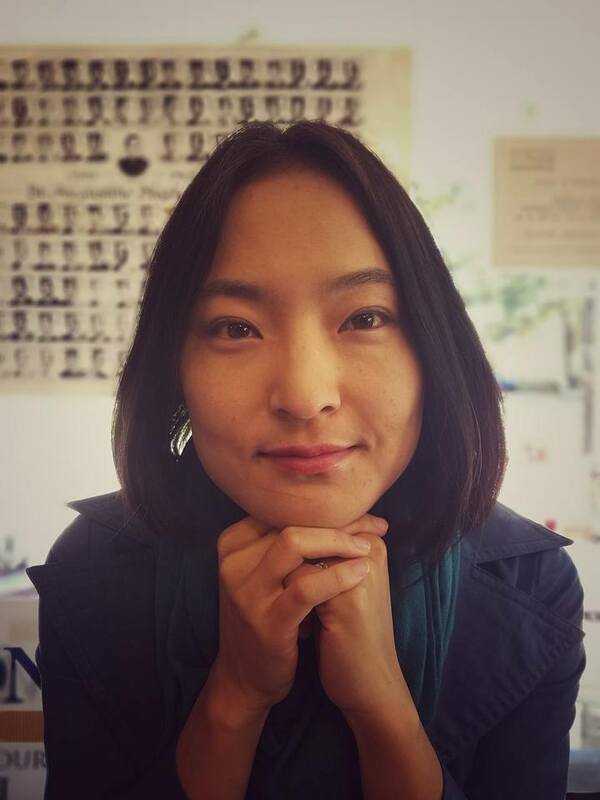 I hope to grow as a holistic scholar who explores the politics of boundary-making in ways that engage multiple disciplinary and methodological fields: anthropology, cultural geography, religious studies, migration studies, ethnic studies, technology studies, Asian studies, and visual studies.